Posted on January 6, 2014 by heardsmenblog CommentsNo Comments on James Rhodes: Another Musical Mystic? James Rhodes: Another Musical Mystic? At the end of a blog post in the Guardian from earlier this year, James Rhodes, a British classical pianist dead set on rehabilitating classical music’s reputation for unnecessary and unbearable snobbery, quotes a mysterious letter written by the poet Charles Bukowksi. I know nothing of the historical context of the letter (nor do I know anything about Bukowski), but the letter itself doesn’t matter. The important point is the letter’s main injunction: “Find what you love and let it kill you,” Bukowksi says. Rhodes’ murderous love is classical piano, but his aim in the post is not the rehabilitation of the depth, beauty, and creativity of classical music; it’s the rehabilitation of creativity itself. Do the maths. We can function – sometimes quite brilliantly – on six hours’ sleep a night. Eight hours of work was more than good enough for centuries (oh the desperate irony that we actually work longer hours since the invention of the internet and smartphones). Four hours will amply cover picking the kids up, cleaning the flat, eating, washing and the various etceteras. We are left with six hours. 360 minutes to do whatever we want. He encourages us to risk everything for love of creation, and quickly proceeds to comfort us with assurances that we won’t loose too much if we do. But curious contradictions aside, his vision strikes me as tremendously idealistic. I, for one, cannot function very well on six hours of sleep, and I have grave reservations about how able a world full of “suicidal” artists would be to meet the basic needs of its innumerable inhabitants, not to mention produce the required means of an artist’s creation. Nonetheless, I can’t fault him for his idealism in itself. I have a good amount of sympathy for his frustrations and aspirations (“Is what we want [to do in our spare time] simply to numb out and give Simon Cowell even more money?”). What captures me is his absolute allegiance to feelings (to not “numbing out”). 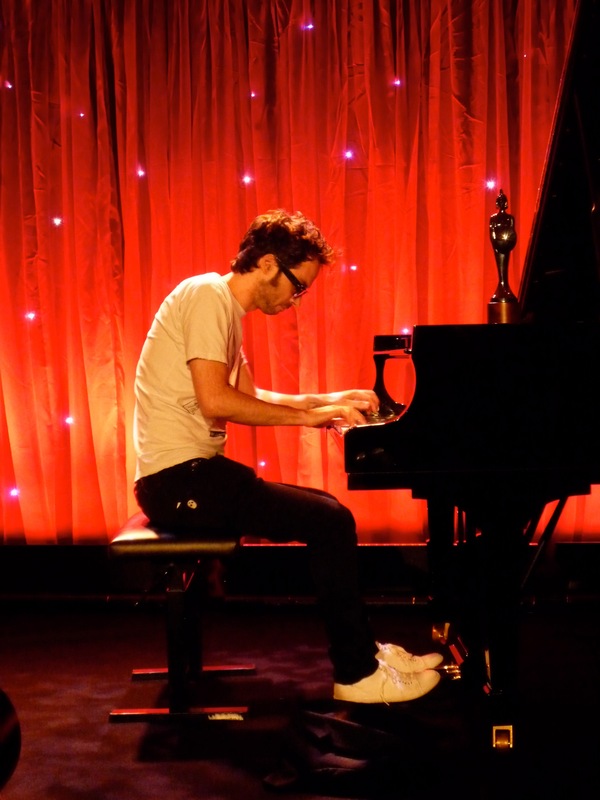 If Joshua James is an exemplary musical mystic in the world of contemporary folk rock (see this earlier post), James Rhodes may seem to be the exemplary mystic for those of us with classical taste. His most recent live release includes an effusive account of the complicated life and the unparalleled musical prowess of Beethoven, which comes during one his signature ramblings between pieces. 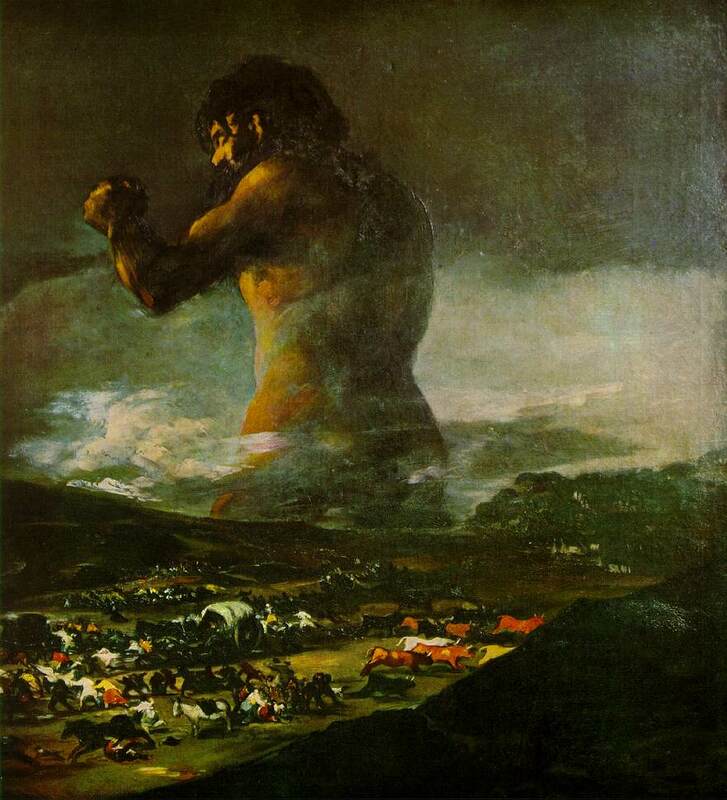 Rhodes compares Beethoven to the formidable figure in The Colossus, the famous painting done by his contemporary (and fellow deaf artist) Francisco de Goya. The likeness is in Beethoven’s terrifying talent and biography, but in the end, Rhodes’ emphasis is not impressive biography or genius. It is feelings that loom largest, and Beethoven’s supreme commitment to them (as Rhodes sees it) makes Beethoven his favorite composer. “He wrote what he wanted to write,” Rhodes educates his audience, highlighting Beethoven’s disregard for “whether it was for God, or the church, or the state” because “it was all about feelings.” As this elation over Beethoven’s greatness winds down, Rhodes introduces the Waldstein Sonata and emphasizes feelings once again. “My favorite word about Beethoven is interiority,” he tells the crowd. “It’s kind of looking deep within yourself, and it’s all about feelings.” The piece, he explains, gets “quite dark” and “introspective.” The character of the emotions the piece evokes are of little importance. What matters is that they have an intense and immediate emotive quality. But although Rhodes’ fidelity to feeling is reminiscent of the mystical music of Joshua James or the rituals of Indian Sufism, his worship exhibits a significant lack of interest in mystery. He seems to be quite at home with his feelings, whatever they might be, and their origins don’t appear to interest him. The contrast this provides with Joshua James’ openness to and interest in the possibility of something higher than feeling, something greater than human emotion, marks Rhodes as something different than a modern musical mystic. What that is, I’m not sure. Hedonist is probably too unkind a word, and it isn’t adequately descriptive of Rhodes anyway. That said, I sense an unacknowledged moral risk in Rhodes’ orientation to art. He tells us he is absolutely in love with classical piano, even self-destructively so, but I am not convinced of the purity of his pursuit. Since reading his Guardian post and hearing many of his quirky, yet entertaining, concert monologues, I have been trying in vain to capture in words what I find somewhat disingenuous about Rhodes’ schtick. My powers failed me, but a passage from Saul Bellow came to mind. “Artists fall in love, of course,” Chick remarks in Ravelstein, Bellow’s novel-paean to Alan Bloom, “but love isn’t their primary gift. They love their high function, the use of their genius, not actual women. They have their own sort of driving force.” I wonder if the same might be said of Rhodes. A lover he might be, but there is always the question: a lover of whom? I don’t know anything about Joshua James’s religious beliefs. Like most earthy folk rock, his songs often trade on biblical themes and allusions. The words “devil,” “Lord,” “prayer,” “God,” “death,” “soul,” “belief,” and the like are a regular part of James’s passionate refrains. And although fan favorites like “Crash this Train” grind his folksy religious grist in the mill of contemporary American politics, James uses his plain religious vernacular most frequently to engage questions of individual belief, loss, and suffering. The amount of autobiography in that engagement is, as I say, unclear to me. What interests me is not whether the struggles in James’s lyrics are confessional, but whether they might represent the work of a type we might call the modern musical mystic. Mystics of deep, religious history were believers who passionately yearned for overwhelming experiences of unity with the cosmos and sought such experiences through contemplation, poetry, ritual, and self-effacing austerity. They are also known by their belief in cosmic truths that are beyond the human intellect to grasp. Among those most prominent to recorded history are St. Francis of Assisi, Julian of Norwich, the poet Rumi, and Sai Baba, but history is not the mystic’s only home. Religion has certainly been transformed by and retreated from modern life in various ways, but the mystic has not been a casualty of secularization (and probably never will be). The mystics of the modern world find their space, unsurprisingly, in parts of the world we often think of as inherently religious. 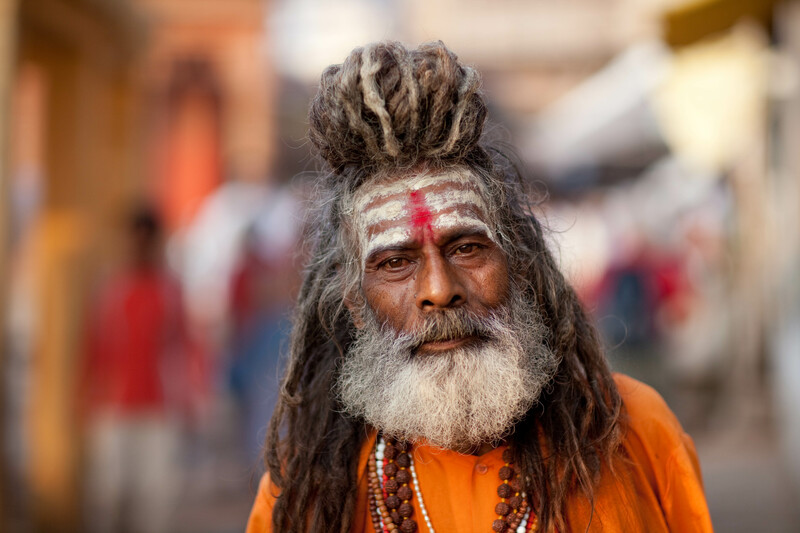 The prolific scholar of Indian history and religion, William Dalrymple, paints a few wonderful portraits of such people in his book Nine Lives: In Search of the Sacred in Modern India. In one of the book’s best essays, he engages mystics who search for transcendence in the rural parts of Sindh, the southernmost province of Pakistan. Tucked up against the border of India, rural Sindh is “a place of refuge for [the] heterodox,” a place where the oft-times stark boundaries between Hindus and Muslims are blurred in the creative and rapturous rituals of Sufi and Hindu mystics alike. At the “tomb of Shah Abdul Latif,” Dalrymple recounts in his book, “loud Sufi music and love poetry was being sung in each courtyard, men were dancing with women, hashish was being smoked, huge numbers were venerating the tomb of a dead man.” The dancers are certainly not dead, but some appear to become possessed by a mysterious, chaotic force during the dhammal, a drum-and-dance reenactment of the destruction of the world by the dancing of the Hindu god of creative destruction, Lord Shiva (in the form of Nataraja—“Lord of the Dance”), and his drumming on the damaru that brings it back into existence. While you dogs are fighting with each other. For the privilege of gnawing at the bones. Mysticism may appear to be more at home in the East, but the United States is home to its own iterations of flaring and burning. One of these iterations is, it seems to me, the modern musical mystic, and Joshua James provides as good an example for brief examination as any. James’s style of performance—his lowered shoulder and random, yet rhythmic, swaying center-stage—invites his audiences to turn inward and experience the “terrible ambiguity of an immediate experience.” His tightly shut eyes suggest that he has made such a turn himself, evoking as they do a puzzling mixture of pain and bliss. But, of course, it is not just his stage presentation that marks him as one of our modern musical mystics. His folk rock is varied and intricate, but highly accessible, and the way his lyrics paint personal struggles in biblical colors fosters a mood of religious yearning that even the non-believers in his audiences absorb. then it worked, don’t you think? but I have recently known that it don’t matter. 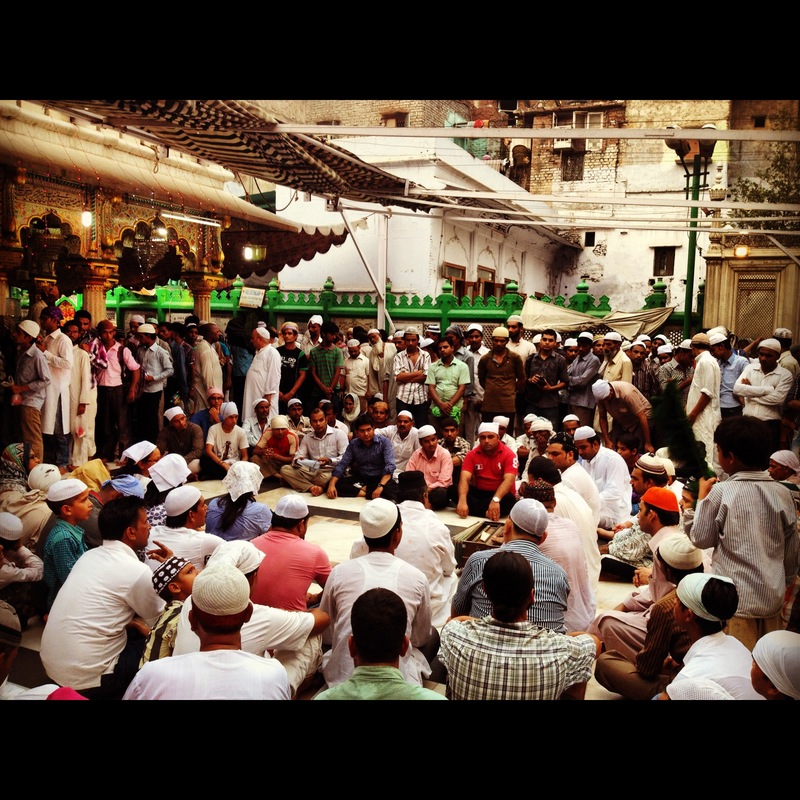 As a series of sonorous “sha la las,” the chorus, like the rituals done at the tombs of Sufi saints, is thin on content, and it is introduced by the equally repetitive and mystical refrain: “I don’t believe in much.” Like the instructing father, James and his audience become (if they are not already) “believers without belief” rather than the “Lovers without Love” of another popular James tune. Indeed, they are, like their cousins of the East, primarily lovers. They have “no time for doubt or certainty” as they flare and burn after their love, namely, the direct, enrapturing experience of collective, musical transcendence. Making this comparison, I can’t help but wonder whether our modern American mystics are indeed secular as well as musical. The music of James’s comrades (Timothy Showalter, Conor Oberst, and David Bazan are the ones that come to mind at the moment, but I know there are others) is not always steeped in biblical language, but there is an undeniable religious quality to the yearning of their music and performance. Perhaps those that do make use of explicitly religious lyrics, like many ironic atheists, cling to the body of the God in whom they disbelieve. Or maybe, as the Indian novelist Salman Rushdie has observed, religious language cannot be escaped when particular subjects are at hand.